​First Service (8:30am): Middle School and High School students and staff will attend this service. Second Service (11:00am): PK and Elementary students and staff will attend this service. 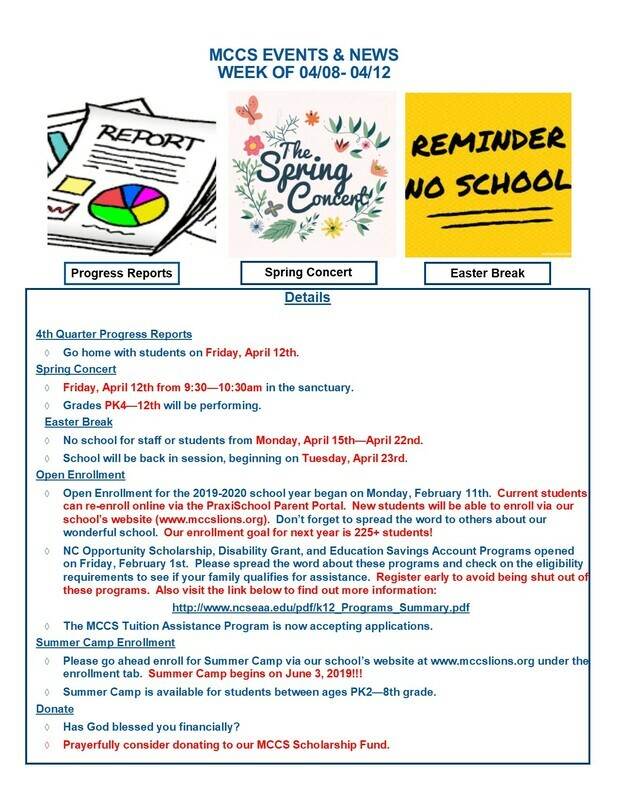 This day is set aside for us a school to say thank you to MCBC for their support and to update them on the status of our school. We know that many of you have active roles in your churches and that it is a sacrifice to take a Sunday off in order to come to MCBC that day, but we would love for you to make that sacrifice. MCBC needs to see families who benefit from their biggest ministry and who are appreciative of their support. 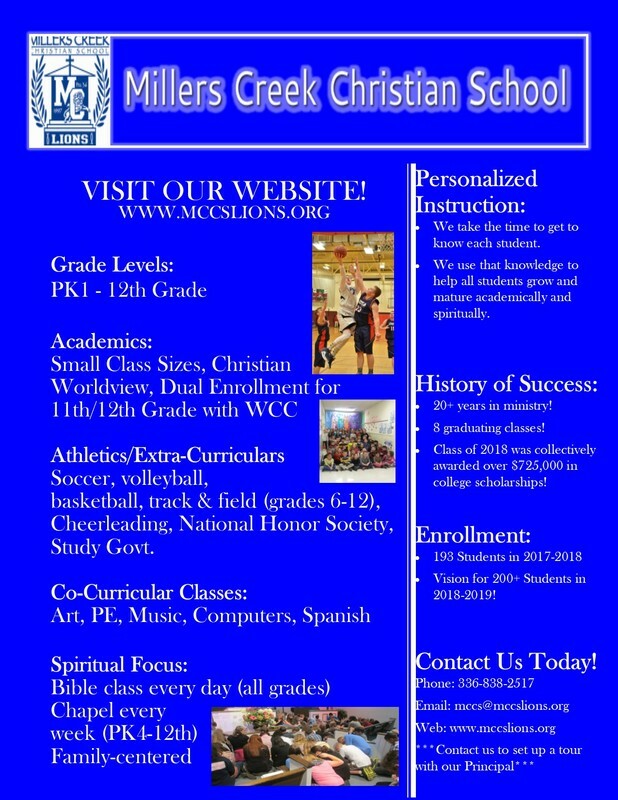 *Visit Our "Enrollment" Tab To Enroll Your Child Today!!! Our students brought in supplies, packed, and delivered 107 shoe boxes for this year's O.C.C. mission. Thank you to our Student Government and to everyone that donated in order to make this happen! Congratulations to our Varsity Volleyball Conference Champions and State Runners-Up (2 consecutive years)!!! The class out of each group (PK, Elem, MS, HS) that turns in the most Box Tops by March 31st will win a Pizza Party for their class! Get to clipping those BOX TOPS!! View the videos by clicking the link below. Listen to us on 3WC Radio!!! 2017-2018 Students -vs- Staff Basketball Game!!! Go to the "Home" tab and click on "Portal Access" in order to access our Parent, Student, and Staff Portals. The "Log In" tab is reserved only for our webmaster here at the school. If you have any trouble accessing the portal, please contact our main office at (336)-838-2517 and we will be glad to assist you!